Sunday 19th February 2017 – 64 Launches! Cold, overcast and an awkward wind direction. 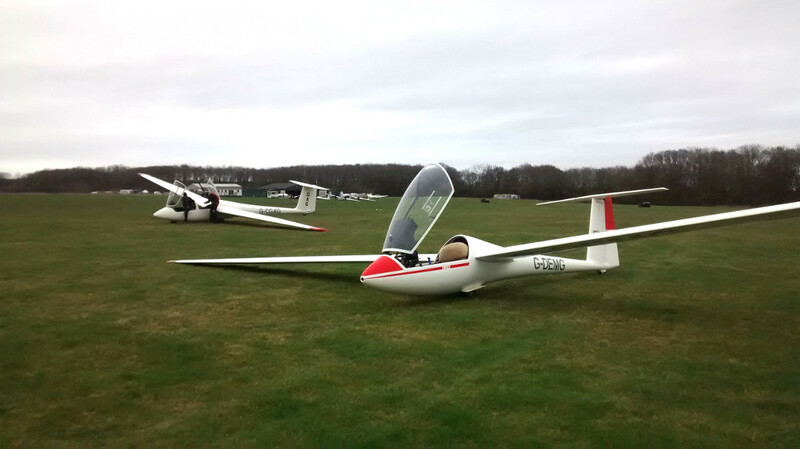 It didn’t stop loads of Stratford members turning out along with members of University of Warwick Gliding Club for a day’s training and local flying at Snitterfield. 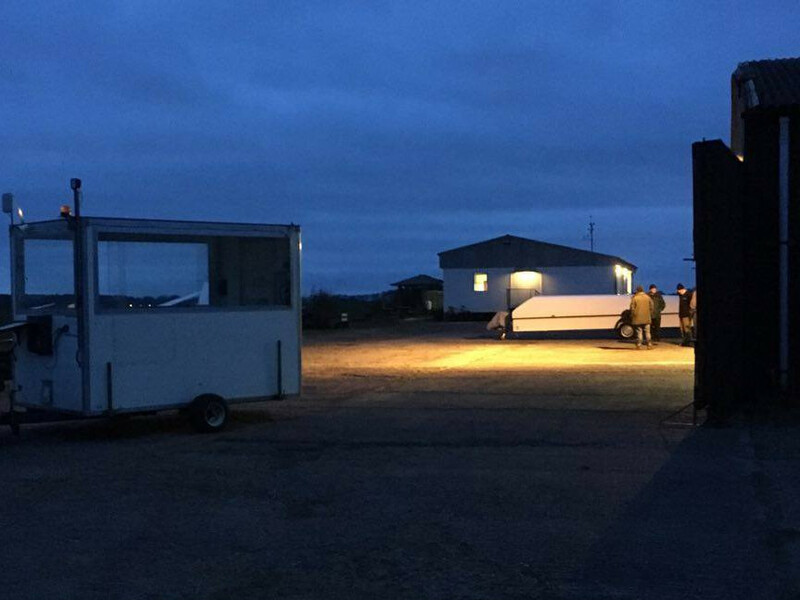 An area of the airfield was coned off at the start of flying due to water-logging and that area became larger as other poor areas were identified. The telemetry signalling was back in operation and working well, assisting with a high launch rate. The members from UWGC are a mixture of ab-initios and pilots with experience so we have both initial training as well as solo flying and a conversion to Stratford’s Standard Astir G-FECO. They also bring with them a Skylaunch winch driver. Stratford member Kit was introduced to basic aerobatics for the first time while Jesal also practiced his basic figures. There was no soaring to speak of under a steady overcast but it didn’t dampen the enthusiasm for taking launches. The club’s LS4 G-DEMG rejoined the active fleet after coming back from ARC and is now back in the hangar waiting for a dryer field and some thermals. We normally only see the whole glider fleet at the launchpoint during the summer months. By the end of the day, we’d completed 64 winch launches, not bad for this time of year! The last glider to land was the Junior flown by our CFI at SS+10. Obviously the key to doing so many launches is finding the right balance of efficiency at the launch point and not losing momentum. With a steady queue of gliders at the standpipe for a wash, it was pretty dark by the time the hangar doors were closed.